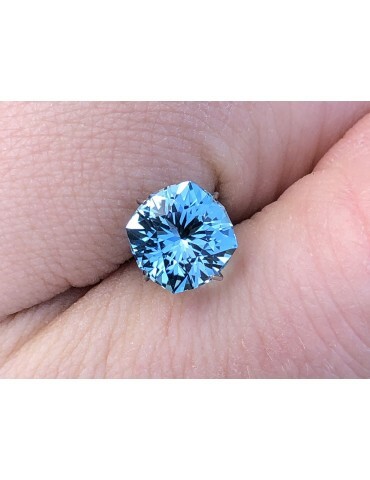 Swiss blue topaz 4.29 cts. 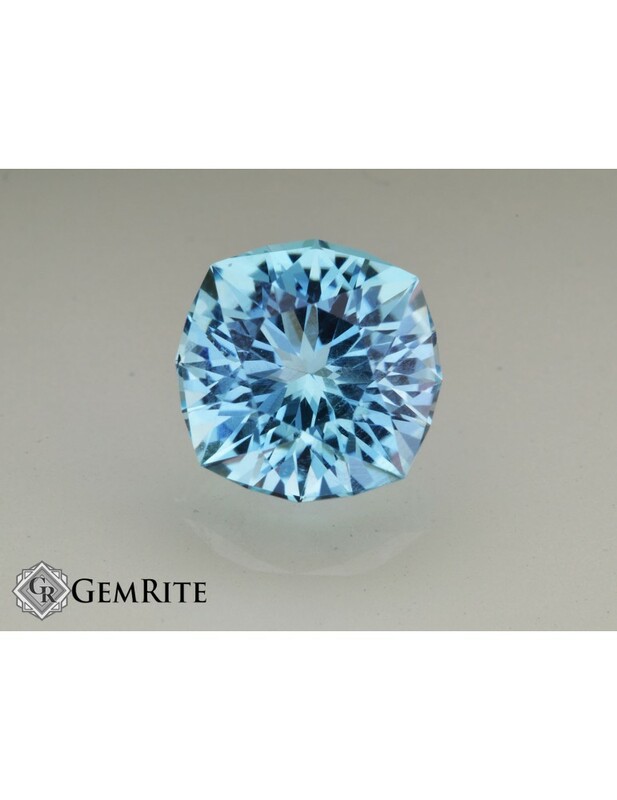 Notes: Swiss blue topaz cut in a beautiful intricate custom round design. 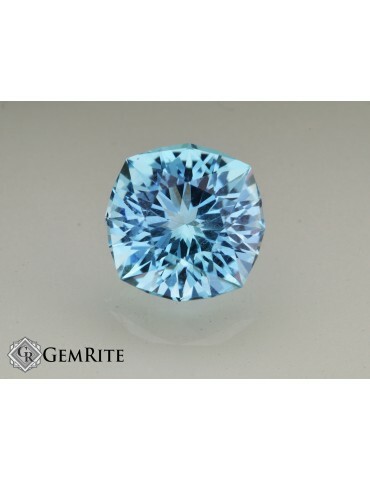 The stone is a light medium to medium tone.